A special celebration, party, or event photo booth rental in Montreal is so much fun. You can literally harness the fun and excitement of it all and forever preserve the laughs, the memories, priceless moments, and hilarious antics of your special guests. While all events must come to an end, the amazing experience and delightful memories we capture will last for many years to come. They help people mingle, meet others, and have something fun to talk and laugh about. Turtles come out of their shells, and your shy guests who usually avoid the spot light will likely have a good time acting a little silly in the booth. People really like to take home souvenirs of themselves. Photo booth pictures are the ultimate event, party, or wedding favor. People put them on their refrigerator or on their office wall and literally keep them there for many years – creating a lasting connection to the memories of a fantastic day. It includes people not included in the occasion’s formal pictures. It’s fun for all ages. Grandparents have just as much fun as children and young adults. The booth gives your guests something fun, memorable, and creative to do together (don’t worry, with all the props they get to choose from, even your most uncreative guest will find something to inspire their fun side). Regardless of whether you rent a photo booth in Vancouver or Toronto, it can be said that a photo booth does what only the most talented photographers can do – but for a cheaper cost. When you rent a photo booth in Montreal for your event, you typically get unlimited photos with each individual photo session printing as either two 2×6 inch photo strips or one 4×6 inch print. Many companies allow you to choose a backdrop. Some even offer a green screen if you’d like. Some will also allow you to choose a layout for your photo strip or 4×6 prints and most will allow you to put a custom message on it too. Many companies will then upload your event pictures to an online gallery where your guests can browse through them, download them or share them. Many companies will also provide you with a USB stick with all your guests’ pictures on it so that you’ll have them for good. You can expect the photo booth to come with an attendant who will oversee the booth for the entire time the booth is open, keep the props in order, and make sure everyone has a great time at the booth. Some companies also amplify the fun by including a social sharing kiosk where your guests can share their pictures with friends on Facebook, Pinterest, Twitter, and other social sites. Often they can also text and email their pictures too. Most photo booths now are modern and high tech. They come as either open or enclosed booths with touch screens and fast, high quality printers that print out lab quality photo strips and postcard style prints in less than 10 seconds. These prints are smudge proof and should literally last a hundred years – just like regular, quality photograph prints. With a rental, the company you’re dealing with will take care of everything for you: delivering the booth, setting it up, running it, and taking it away. You shouldn’t have to much other than arrange everything with them and then smile for your pictures and have a great time. Photo booths are typically rented by the hour with a 2 or 3 hour minimum and often include the features listed above. The price of a rental varies. Most companies offer competitive rates, but a small number will charge a premium and few will try to offer the cheapest rates. Just be careful. You often get what you pay for. 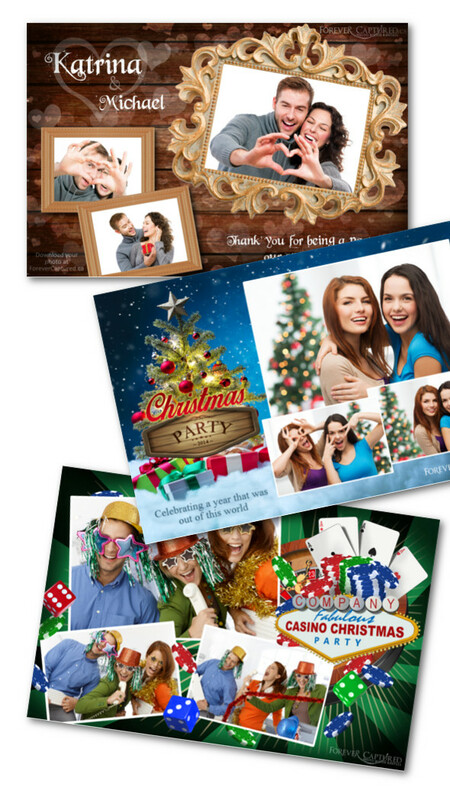 A memory scrapbook of photos from your event. An attendant directs each guest to place a copy of one of their photo strips in the book and are invited to write a special message next to their picture (this is ideal for weddings). Non-Operational Hours (in case you want to stop the pictures for dinner or speeches). There can be other extras too. Feel free to ask about any idea you may have. So if you are looking for something fun and exciting that will bring your guests together and given them something to do and talk about, a photobooth rental for your event, party, or wedding in Montreal is the way to go. A local photo booth rental company can help you create an amazing experience that your guests will love and remember for years to come. Contact a company today and talk to them about what you have in mind for your special occasion.